Improving quality of life with high-quality orthodontics that goes beyond straightening teeth. 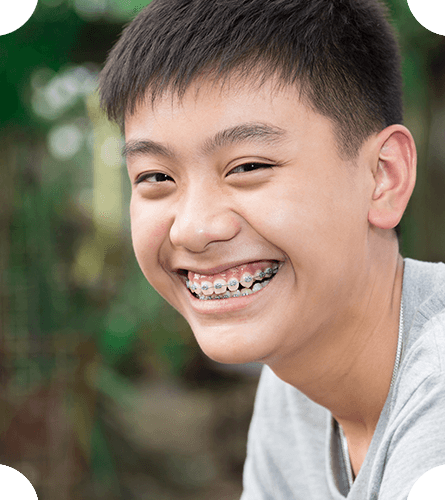 Whether your teenager is in need of braces or you’re ready to make a change with your smile, our orthodontic services are available for everyone to achieve beautiful and exceptional results. At Chatham Orthodontics, Dr. Fodern focuses beyond the teeth by considering other circumstances, such as speech issues, maturity level, and oral-sensory issues, to customize a treatment plan that will work best for your child or yourself. How can we make orthodontics easy for you? Dr. Fodero and her caring team were voted New Jersey Monthly Magazine’s Top Dentist and New Jersey Family’s Favorite Kids’ Docs. Dr. Barbara Fodero is an “evidence-based” orthodontist, taking the time to research new services and technologies and making sure they are proven to work. We have the iTero Scanner, eliminating the need for goopy impressions and creating more accurate results. This scanner takes digital impressions of your smile, improving fit, comfort, and turnaround times. 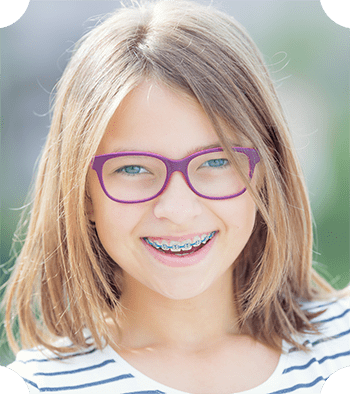 Early Interceptive Orthodontics is a short course of orthodontic treatment in childhood that addresses issues before they become a more serious problem later. The American Association of Orthodontics recommends an initial orthodontic evaluation occur at the first sign of orthodontic problems or no later than age seven. By then, a child has enough permanent teeth to determine whether an orthodontic problem exists or is developing. Harmful habits like finger or thumb sucking can create many orthodontic problems. Early intervention to stop these habits can prevent further damage from occurring. Also, early intervention to treat conditions such as underdeveloped dental arches, premature loss of primary teeth, severely crooked or crowded teeth, underbites, overbites and crossbites can eliminate the problem or reduce the severity so later treatment is less invasive and shorter in duration. For example, early treatment can make room for permanent teeth to come in properly, reducing the chance of extractions in the future. Early treatment isn’t always necessary. The easiest way to find out what your child needs is to schedule a complimentary consultation with Dr. Fodero. Initial screening can give you peace of mind that you haven’t missed a critical window of opportunity for your child. 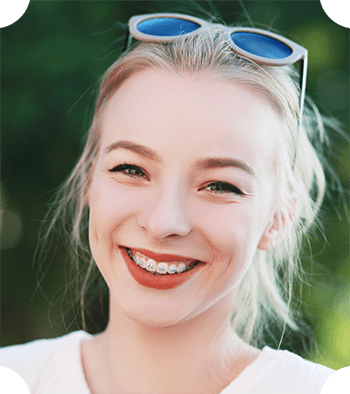 Most people think of teenagers when the discussion of orthodontic treatment comes up because most orthodontic treatment is done in middle school and early high school years. Teenagers are busier than ever now and may have mixed feelings about undergoing orthodontic treatment or may have concerns about how it will impact their lives. We understand and want to take this into consideration when developing a customized treatment plan that works best for you. Fortunately, we use the most advanced technology possible to give you an incredible smile in the shortest amount of time with the least amount of discomfort possible. We offer a variety of orthodontic services including traditional silver or clear braces as well as Invisalign (a series of clear retainers) to straighten teeth. The amount of time it takes to straighten your teeth depends on your bite and the extent of your crowding. Most treatment takes between 18 to 22 months. Dr. Fodero will be able to give you a better idea of what is involved during your initial consultation and can answer any questions or concerns you have then. A common concern is what foods you cannot eat when in treatment. There are some limitations to your diet while you are in treatment with braces, but it’s not much — essentially it’s the hard, sticky foods that could potentially break off braces or loosen wires, such as taffy. And if you are a candidate for Invisalign, there are even fewer restrictions. We will go over the complete list of what you cannot eat while in treatment at your initial consultation. One out of every five patients in orthodontic treatment is over the age of 21. Treatment can be successful at any age! It’s time to treat yourself to the beautiful, healthy, and confident smile you deserve. We love treating adults because not only do they choose orthodontics to give them a more confident smile, they also know how important oral health is to maintaining overall physical health. Crowded teeth are difficult to clean, and this can lead to tooth decay, gum disease, bone loss, and recession. If your teeth don’t fit together properly, you may be experiencing abnormal wear on your teeth or even jaw joint problems. Orthodontic treatment can help you achieve a healthy smile. Today’s technology has made orthodontic treatment more efficient and comfortable than ever before, whether you choose traditional braces or Invisalign. Treatment times can range from 6 to 24 months. Adult teeth do not move as easily as children’s teeth, so your treatment may be longer than your child’s treatment. Adults are no longer growing, so some treatment options may not be available to you. Adult treatment may require other dental disciplines if there has been bone loss, recession, or tooth loss. Though rare, sometimes patients may need orthognathic surgery to correct the bite. Regardless of the scope of your treatment, Dr. Fodero can give you the best possible result. A consultation with Dr. Fodero will allow you to learn more about your treatment options. Some children start treatment early when they still have some baby teeth (Phase I treatment) only to have treatment later when permanent teeth are present (Phase II treatment), while other children only have one course of treatment in their early teen years (also called comprehensive treatment). Unfortunately, not all mouths are created equal! 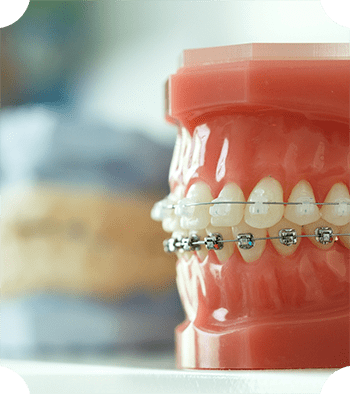 Those children who have severe crowding or severe bite issues may need two phases of orthodontic treatment to achieve the optimal result, whereas their friends with less significant problems may only require one course of treatment. The American Association of Orthodontists recommends that children visit an orthodontist at the first sign of an orthodontic problem, and no later than age 7 to determine if early treatment would be beneficial. There are enough permanent teeth by age 7 to determine whether an orthodontic problem exists or is developing and whether it can wait to be treated or if early treatment is needed. The goal of Phase I, or early treatment, is to correct the growth of the jaw and certain bite problems. Early treatment also helps to make room for permanent teeth to come in properly, which will prevent teeth from becoming impacted or eliminate the need to have to extract permanent teeth. Early treatment can also help stop harmful habits, such as thumb-sucking, which can create future orthodontic problems if not eliminated. Early treatment often allows you to tackle the more challenging orthodontic problems at a time when children are more receptive to orthodontic treatment. This means less time in treatment in those challenging teenage years! Not everyone needs Phase I and Phase II treatment. However, a complimentary screening by Dr. Fodero can help you determine that you are not missing a critical window of opportunity. We often hear patients tell us, “The sooner I can get my braces off, the better!” Let us be the first to tell you it’s possible to cut your treatment time in half, thanks to Propel Orthodontics! This modern technology uses gentle forces to accelerate tooth movement, leading to faster treatment times. Why will you love Propel? Anyone can use Propel! Schedule your consultation with our orthodontist in Chatham today to see if you’re a candidate! There may be times braces will not be enough to straighten your smile – the problem could be deeper than crooked teeth. Rest assured, Dr. Fodero will take the time to listen to your needs to design a custom treatment plan specifically for you or your children. She’s thoroughly trained in all orthodontic techniques and offers a wide range of services, technology, expanders, and functional appliances to achieve the best results possible. To learn more about our latest advancements in orthodontics and appliances, schedule a consultation with Dr. Barbara Fodero today! Download our PDFs to learn more. Great experience with my two kids. One of whom has a complicated case and Dr. Fodero did an exceptional job. The oral surgeons and periodontists we saw said the same thing: perfect spacing and alignment. Consult our answers below and feel free to give us a call. The American Association of Orthodontists recommends visiting the orthodontist at the age of seven or when the first signs of orthodontic problems occur. At Chatham Orthodontics, Dr. Fodero will look at your child’s jaw and tooth development to identify any little issues before they become more significant problems. If she finds any problems, such as tooth alignment, crowding, spacing, jaw growth, and bite positions, she’ll work with you to conduct a treatment plan to avoid having to do significant corrections later. 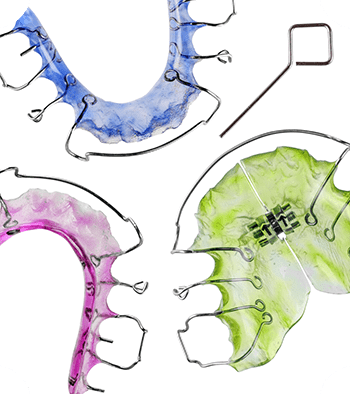 It is essential to wear a retainer after orthodontic treatment is complete. Your teeth will shift and go back to their original positions, and a retainer prevents those teeth from moving and protects your investment in orthodontics. Don’t worry! Wearing retainers doesn’t have to be a chore. We’ll work with you and your child to make retainers an easy process. Yes! Dental insurance includes orthodontic benefits. Our front desk team will work with your insurance and submit claims on your behalf. If you don’t have dental insurance, that’s not a problem! Give us a call and we’d be more than happy to come up with a treatment that works within your budget.